(NaturalNews) Essential oils are a unique branch of herbal medicine that utilizes the medicinal properties found in the essential oils of various plants. Through the different processes of distillation, the volatile constituents of the plant's oil are extracted from its flowers, leaves, branches, or roots. The oils then exert much of their therapeutic effect through their pharmacological properties and small molecular size making it very easy to penetrate bodily tissues, and help remedy many conditions. The chemical makeup of essential oils gives them a host of desirable pharmacological properties, ranging from antibacterial, antiviral, and antispasmodic, to uses as diuretics (promoting production and excretion of urine), vasodilators (widening blood vessels), and vasoconstrictors (narrowing blood vessels). Essential oils also act on the adrenal glands, ovaries, and the thyroid, and can energize, pacify, detoxify, and facilitate the digestive process. Their therapeutic properties also make them effective for treating infections, interacting with various branches of the nervous system, modifying immune response, and harmonizing moods and emotions. Aromatic molecules that interact with the top of the nasal cavity emit signals that are modified by various biological processes before travelling to the limbic system, the emotional switchboard of the brain. Because the limbic system is directly connected to those parts of the brain that control heart rate, blood pressure, breathing, memory, stress levels, and hormone balance, scientists have learned that inhalation of oil fragrances may be the fastest way to achieve physiological or psychological effects. • Diffusers - disperse micro-particles of the essential oil into the air. Opt for a cold air diffuser. • Steam tents - to employ this method, boil a pot of water, remove from stove, and add two or three drops of essential oils. • Nose cone - Take a napkin or tissue and make a 2-inch square. Place 2 drops in the center of the paper. Fold in half and roll up to fit the nostril. Place the dry end, with no oil, into the nostril and keep there for 20 minutes. • Floral waters - Use about 10 drops of essential oils and the rest pure water to fill a 4-ounce glass bottle with spray. Use as a room disinfectant. 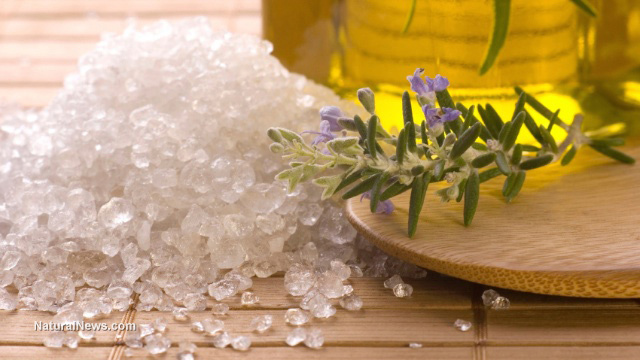 • Bath - essential oils in a hot bath can stimulate the skin, induce relaxation, and energize the body. The heat of the bath helps the oils penetrate the skin faster and enhances circulation. • Massage - works the oils into the skin, and can either calm or stimulate the individual. • Capsule - put cocoa butter with a drop or two of essential oil into a gelatin capsule. • Lozenge - put a drop or two of essential oil into a teaspoon of honey, or onto a sugar cube. • Mouthwash - put a few drops of peppermint in a glass of water. When considering internal use please seek medical guidance, as many essential oils can cause burning when not diluted or used properly. Trivieri, Larry. Alternative Medicine: The Definitive Guide. Ed. John W.
Anderson. 2nd ed. Berkeley, CA: Celestial Arts, 2002.